4.4 million is almost exactly five times 882,000, so, yeah…ouch. Of course, there are some caveats here. These numbers only consider US retail sales, and Call of Duty: WWII came out earlier in the month (November 3) than Star Wars Battlefront II (November 17). So, maybe things aren’t quite as bad as they seem for Battlefront II, but there’s little doubt the game got pretty handily drubbed by Call of Duty. Now, 882,000 units isn’t anything to be embarrassed about, but some will no doubt be happy to see Battlefront II “fail.” The game has been sharply criticized for a system where character progression and weapons could only be acquired from loot boxes, which, originally, could be purchased with real money. Following negative response to the Battlefront II beta, EA and developer DICE made some tweaks to the game’s loot boxes and progression system, but the controversy didn’t end there. Eventually, EA made the surprising move to temporarily remove microtransactions from Star Wars Battlefront II altogether. The folks at Wedbush may be onto something – a lot of people will see Battlefront II, think, “Oh, a Star Wars thing,” and blindly buy the game for that somewhat nerdy friend or family member for Christmas. The game may also be discounted this month. That said, if EA wants to make back its money, Star Wars Battlefront II will have to continue to sell well into 2018, which seems like an uncertain proposition. 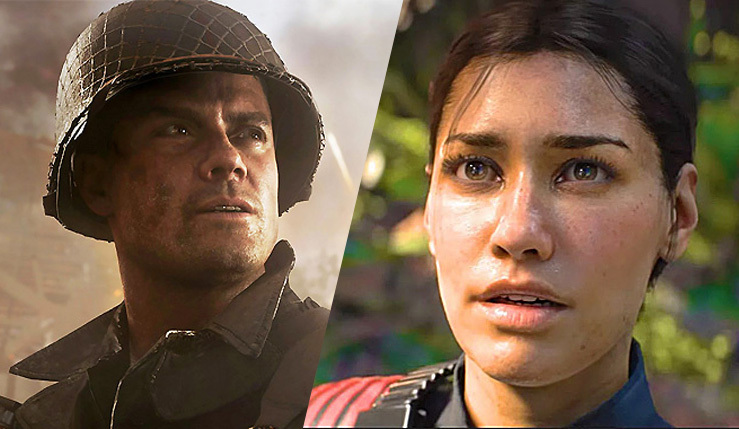 Star Wars Battlefront II and Call of Duty: WWII are both available on PC, Xbox One, and PS4.